Dr. Edlow finished his internal medicine training at Boston City Hospital in 1981. Since then, he has practiced full time emergency medicine, most recently at Beth Israel Deaconess Medical Center for the last 21 years. For most of that time, he has been Vice Chair of the Department of Emergency Medicine. He is a professor of both medicine and emergency medicine at Harvard Medical School. His academic interests relate to avoiding misdiagnosis of patients with neurological emergencies, especially those presenting with headache, dizziness and weakness. 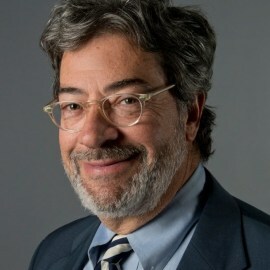 His scholarly work has been published in all of the major emergency medicine and neurology journals and also in the New England Journal of Medicine, JAMA and Lancet. He has won multiple teaching awards including a National Faculty Teaching Award from the American College of Emergency Physicians in 2010.